The Daniel Jankowski Legacy Award recognizes engineering faculty whose exemplary contributions in teaching, research and public service have had a long-standing, demonstrated impact on advancing the mission of the Ira A. Fulton Schools of Engineering. The award was established in 2001 to honor the distinguished academic career of Jankowski, who was a professor in the College of Engineering and Applied Sciences (now the Ira A. Fulton Schools of Engineering) for 40 years until his retirement in 2004. He was associate dean of academic affairs for six years, leaving the position in 2001. He served as interim dean of the College of Engineering and Applied Sciences for one year. Consistent with Jankowski’s own philosophy, the award places a particular emphasis on strong academic commitment including student support, quality instruction and program development. Given every two years, the award comes with a $2,000 prize. 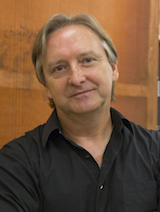 Michael Kozicki has been a researcher and professor of electrical engineering at Arizona State University in the School of Electrical, Computer and Energy Engineering for nearly 35 years. He has continually stood out as a leader in education, research and public service. Kozicki holds 55 U.S. patents and 32 international patents. He invented the technology that underpins Conductive Bridging Random Access Memory, or CBRAM®, an ultra-low-energy data storage technology for computers being commercialized by several companies. Kozicki has earned national and international recognition as a fellow of the National Academy of Inventors, a visiting professor at the University of Edinburgh, an adjunct professor at the Gwangju Institute of Science and Technology and a Chartered Engineer in the United Kingdom. He has also been committed to student mentorship, quality instruction and program development. Kozicki was one of the first people at ASU to integrate entrepreneurship and business principles into engineering courses. 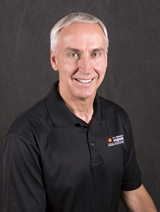 Bruce Rittmann joined ASU in 2004, bringing with him a wealth of knowledge and expertise in the field of environmental biotechnology. He went on to found the Swette Biodesign Center for Environmental Technology and has served as the principal investigator or co-principal investigator on 123 funded research projects, accounting for more than $14.8 million in research expenditures. Rittmann’s pioneering work leveraging microbes to benefit the environment and human health have earned him a slew of accolades and awards, including a prestigious National Academy of Inventors Fellowship in early 2017. Opposed to resting on his laurels, Rittmann has continued to be a leader in his field and academic unit, working tirelessly to bring top talent to the university and providing invaluable insight into curricula revision and improvement. Sandra Houston joined ASU in 1984. After arriving at the university, driven by student interest, she quickly, became interested in the field of unsaturated soil mechanics, a subfield of geotechnical engineering. Now, 30 years later, she has helped build ASU into a leader in the field with a dedicated unsaturated soils research lab and multiple faculty members working in the area. Initially hired as an assistant professor, Houston was one of only a few female faculty members in engineering at ASU. In 1996, she was appointed department chair for Civil and Environmental Engineering, a post she held until 2006. At the time of her appointment, there were less than five female civil engineering chairs in the country. Dieter Schroder joined the electrical engineering faculty in 1981 after 13 years at Westinghouse Research Labs. 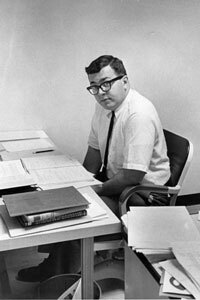 During his time at ASU, he graduated 64 master’s students and 42 doctoral students. His books and courses have become models for teaching. His textbook “Semiconductor Material and Device Characterization” is used worldwide. Closer to home, Schroder was a central figure in the development of engineering education at ASU. Schroder’s knowledge of semiconductor characterization—how to put the special characteristics of electrical materials to useful work— and the significance of his research earned him an international reputation. He helped make ASU a leader in solid-state electronics research. 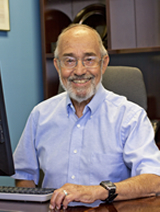 James Collofello joined ASU in 1979 and was instrumental in the start of the computer science degree program. 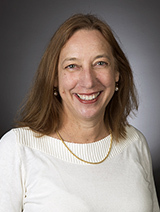 Collofello’s research interests lie in the software engineering area, with a primary emphasis on software process modeling, software quality assurance and software project management. Collofello serves as the Associate Dean of Academic Affairs for the Ira A. Fulton Schools of Engineering. He is also coordinating the software engineering distance learning program. Throughout his entire career, he has maintained a close relationship with software development firms in the state working on joint research projects, developing industry training programs and serving as a software engineering consultant. He is also very active in software engineering education projects and outreach to local high schools. For more than a decade, Adams has been instrumental in guiding the Ira A. Fulton Schools of Engineering undergraduate materials science and engineering program. 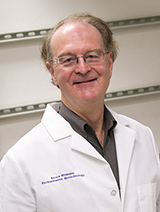 Adams’ research focuses on computational materials and autism. 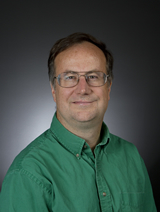 He is associate director of undergraduate affairs, School of Materials Honors College advisor, associate editor of the Journal of Modeling and Simulation in Materials Science and Engineering, and science director of the Autism Research Institute. 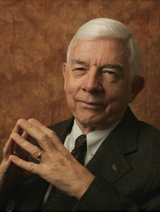 Adams has received numerous accolades for his excellence in teaching including the 1996 Bradley Stoughton Award for Young Teachers from ASM International, which is presented to only one professor in the United States each year, the Outstanding Service and Dedication to Students of ASU award from the Associated Students of ASU. He was presented the prestigious National Science Foundation (NSF) Presidential Young Investigator Award in 1991 and named a Fellow of the Institute of Physics in 2003. Palais, who has been at ASU since 1964, teaches and conducts research in the areas of fiber optic communications components and systems, as well as in holography. He is academic director of the online and professional programs for the engineering school’s Global Outreach and Extended Education office, and director of graduate studies for the Department of Electrical Engineering. He is a Life Fellow of the Institute for Electrical and Electronics Engineers, elected for contributions to university and continuing education, primarily in the area of fiber optical communications. Palais has also been awarded the Conferences and Professional Programs (CaPP) Faculty Service Award from the University Continuing Education Association, the IEEE Educational Activities Board Meritorious Achievement Award in Continuing Education and the IEEE Phoenix Section 1974 Annual Achievement Award for Contributions to Education, Academic and Industrial Research, and IEEE Technical Activities.